In August we shared this Scandinavian beauty with our clients in New England, and, boy, did we have a blast! Learn more below. Evenings on board the Draco 27 this summer were a little more James Bond-esque, let’s say, than what we were used to! She’s a boat that touches upon the ‘unexpected’ adventure. 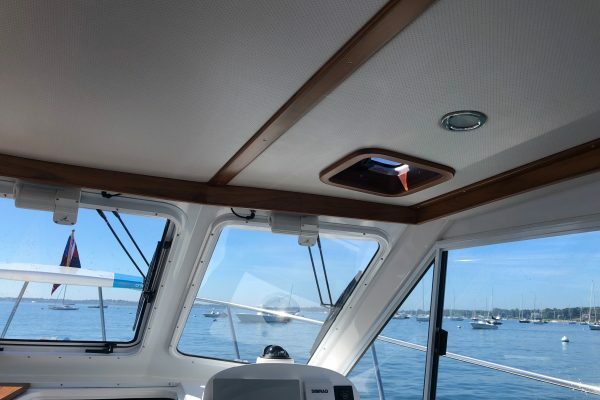 All the while retaining that refined nature of a classic Euro-styled boat. Here are some highlights from our trips! 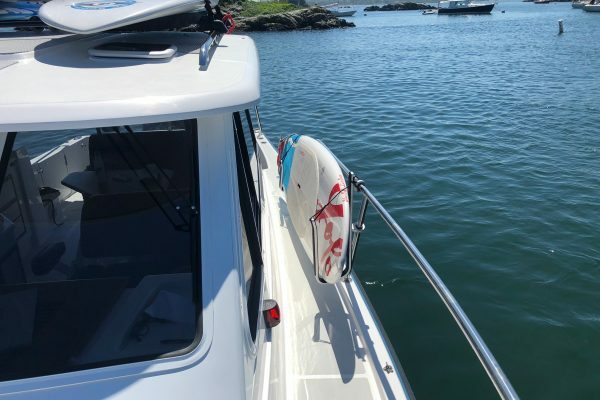 Beaching her was a breeze thanks to the easy-to-use auto-retracting and electric bow anchor! 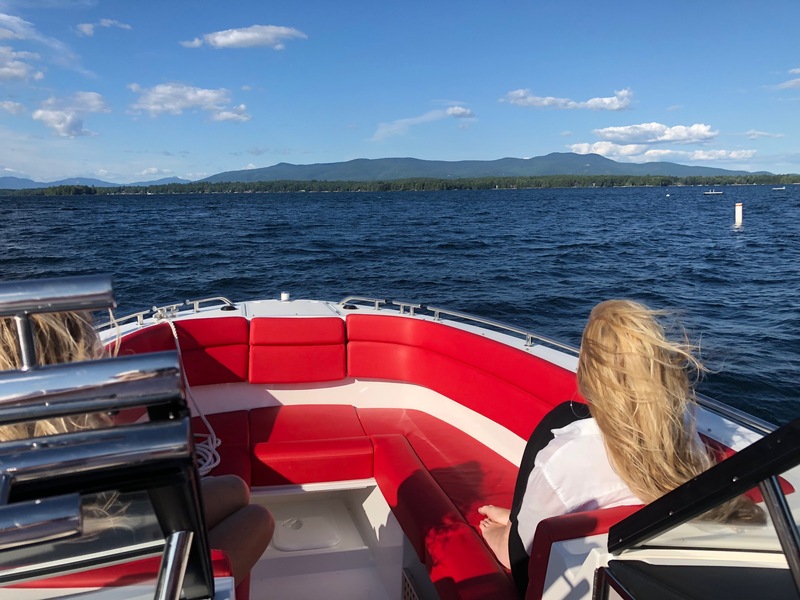 Lake Winnipesaukee was abuzz when the Draco hit her waters for a week! 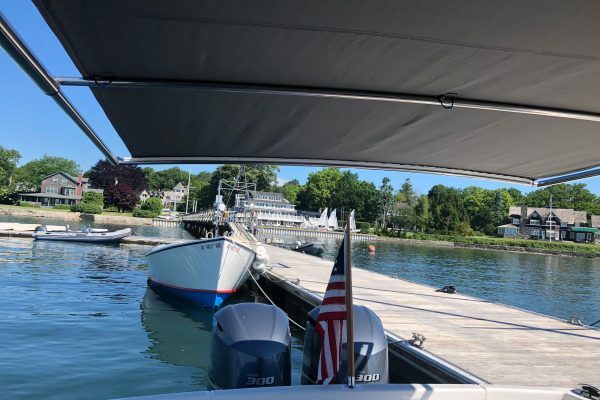 In every marina and facility we pulled into (literally) we had people in awe of the boat. So impossible to resist, that, in fact there will be one or two more Dracos on that lake next summer! 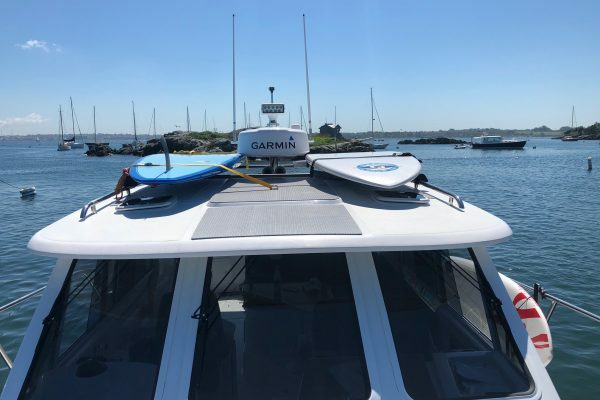 What an exhilarating ride as we shot across the harbor and beyond with a family of 4 on board for an impromptu whale watching adventure. Several clients commented on the smooth and dry ride. 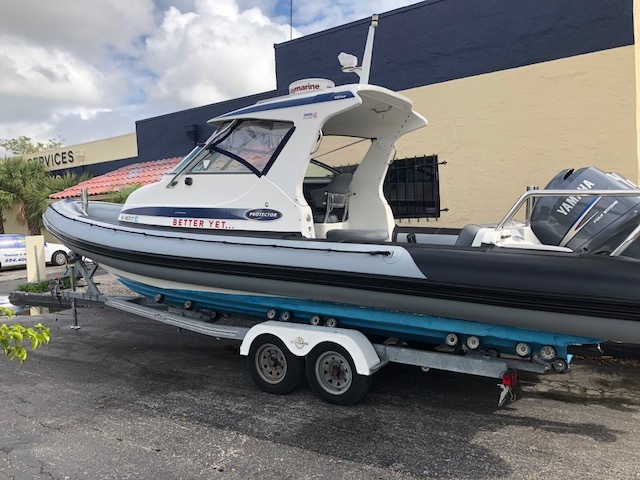 Draco brand offers an unmatched fit and finish in the under thirty foot, outboard driven, family dayboat, bowrider market. 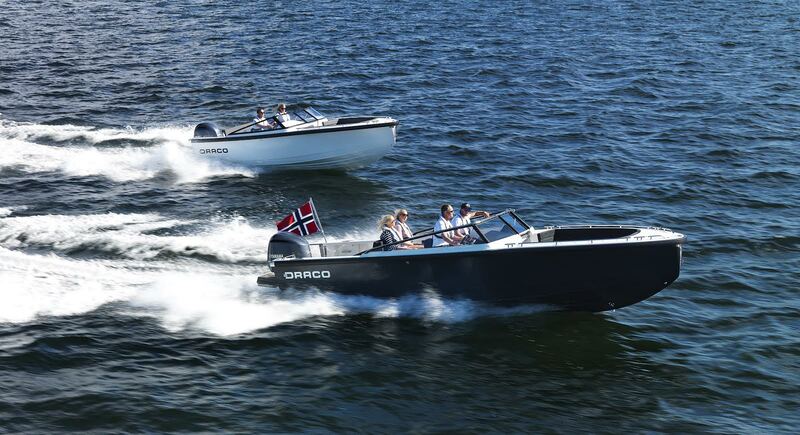 Kåre Drangsholt, the founder of Draco boats in Flekkefjord, Southern Norway, was known for his ambition, drive and passion for boats. 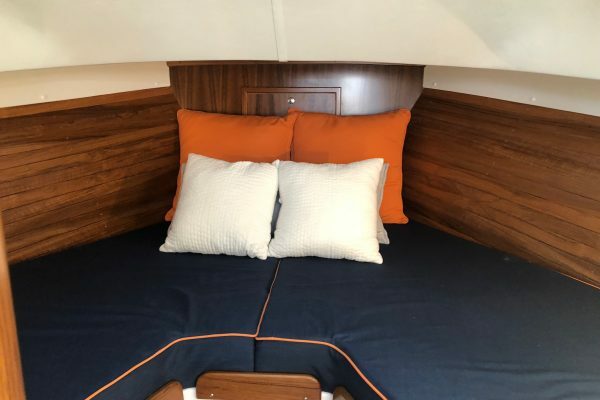 From standard Custom Stainless steel fittings, optional hand laid teak decks, to the hand-stitched upholstery utilizing Europe’s finest outdoor textiles by Oniro, nothing is overlooked. 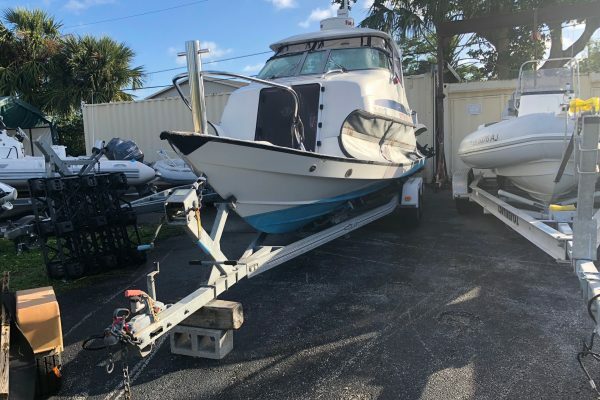 Not only will you love these boats, you’ll love the price point too. Built to order with owner’s choice of engine. 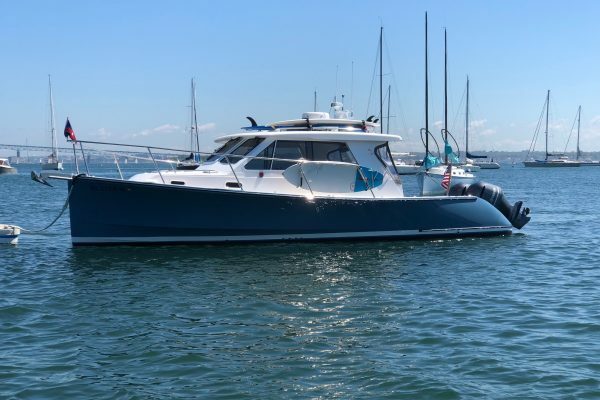 Schedule to see this boat at the Newport International Boat Show! 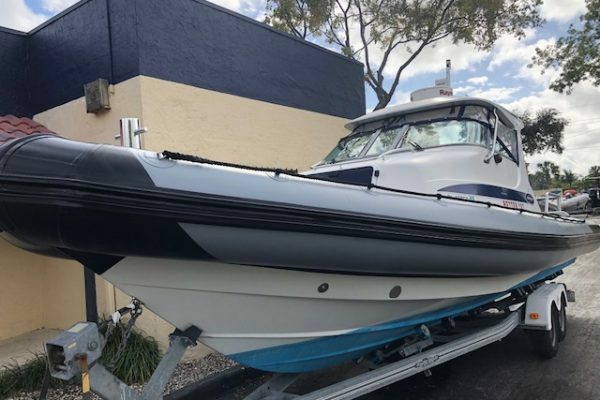 The Draco 27RS is sleek, robust, versatile and fun… she corners on rails and boasts exhilarating performance from a range of powerful outboard options. 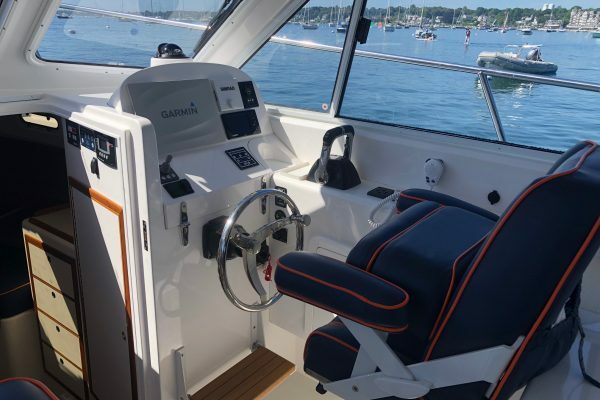 A deep, safe cockpit makes her an ideal and safe choice for the family whilst being packed with clever features. 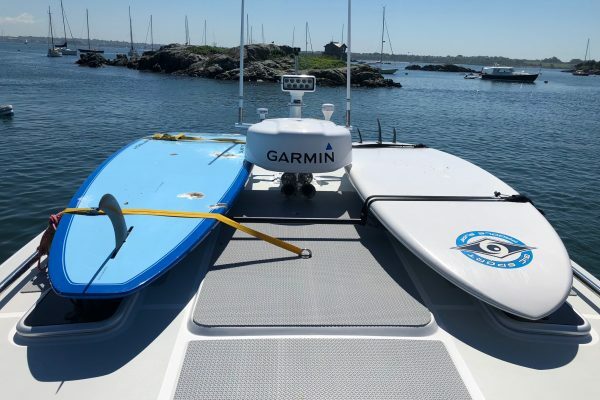 Come get a closer look at these three new models at The Newport International Boat Show! 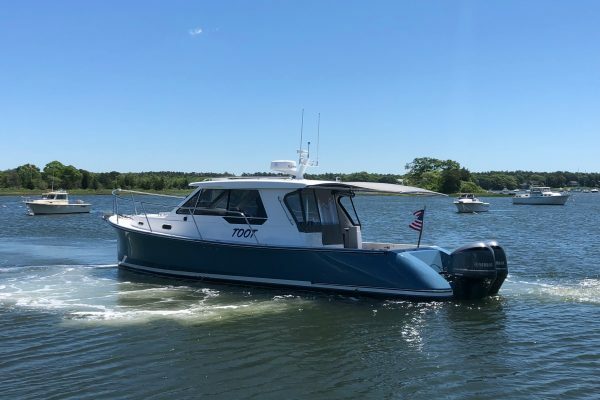 The Newport International Boat Show is a time of the year that LC8 Marine looks forward to, and this year is no different! This year we are representing these three new Protector models as well as a new DRACO 27RS! 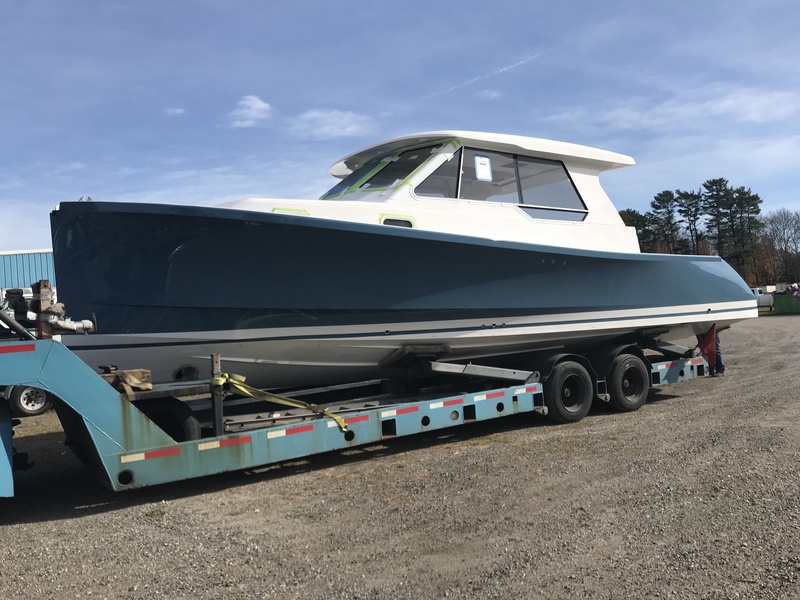 Protector Chase 3800 – brand new boat just delivered! Protector TargaS 30 – possibly the best ‘value’ Protector we’ve seen! 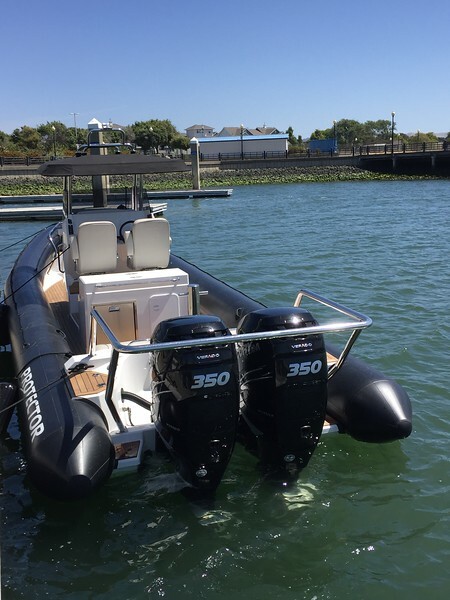 The NEW Protector Chase 3800 is versatile, fun and designed for tough luxury in any sea conditions. Grab 8 friends for a whale-watching trip at sunset and head out for an unforgettable evening. An ideal and safe choice for entertaining while being fast, exhilarating and a dry ride for all to enjoy! 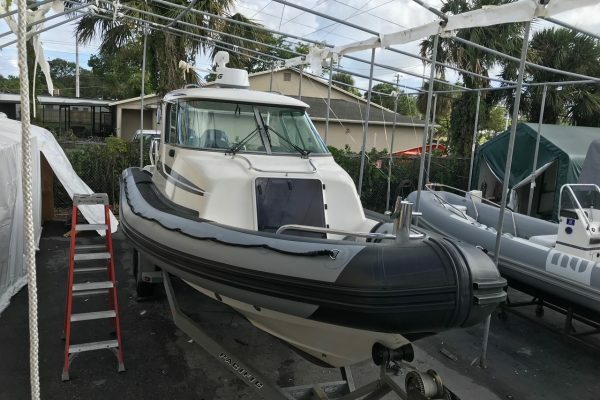 For our clients looking for an excellent ‘value’ buy in the Protector line, we recommend this newly designed TargaS 30. All non-essential extras are stripped away, leaving a carefully-considered Protector thoroughbred with a price point you’re sure to love. 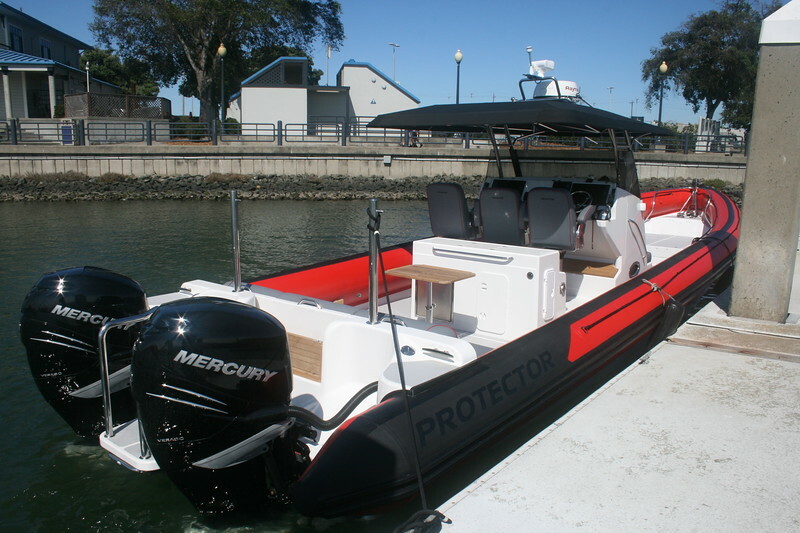 The NEW Protector Chase 3300, is based off the incredible success of the Protector 30 Center Console. 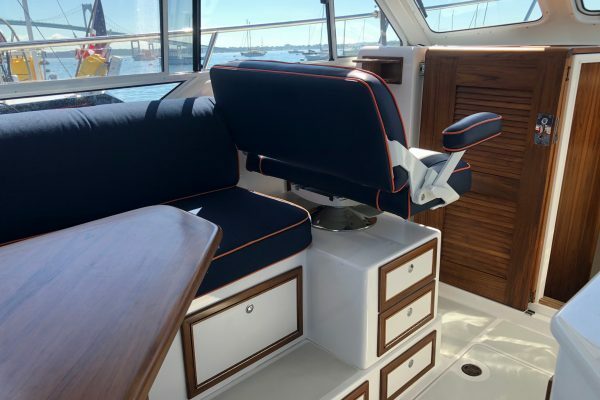 The NEW Chase 3300 is a 33′ version, and features a new center console design that make this boat a must-see. With fantastic handling and vast deck space this is an exhilarating (yet practical) ride for the whole family. 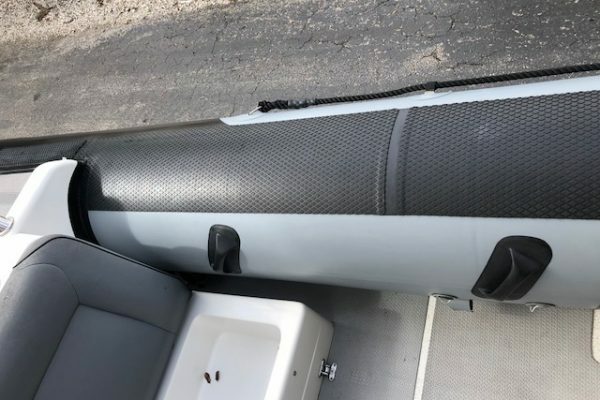 New Center Console Design! Customer-led design, with more electronics and storage space down below. 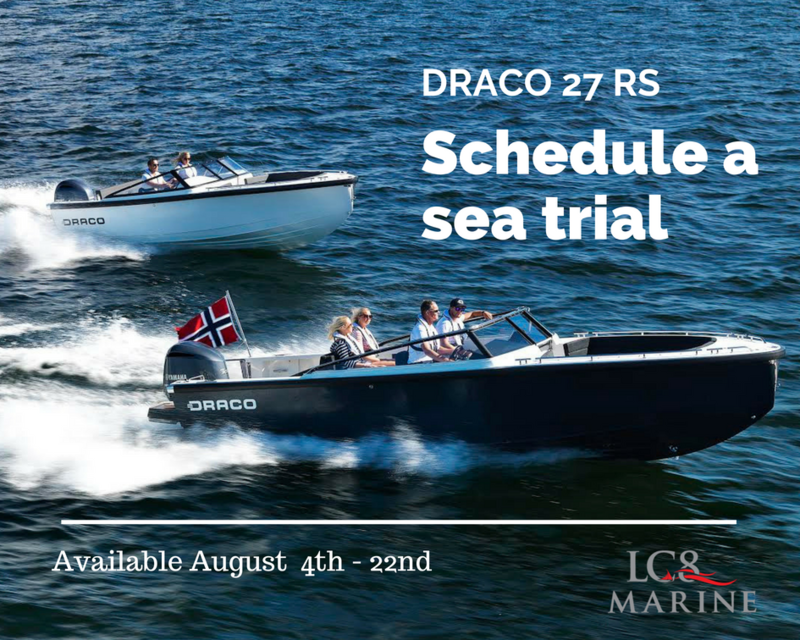 LC8 Marine is pleased to present the stunning Draco 27 RS to the North American market. 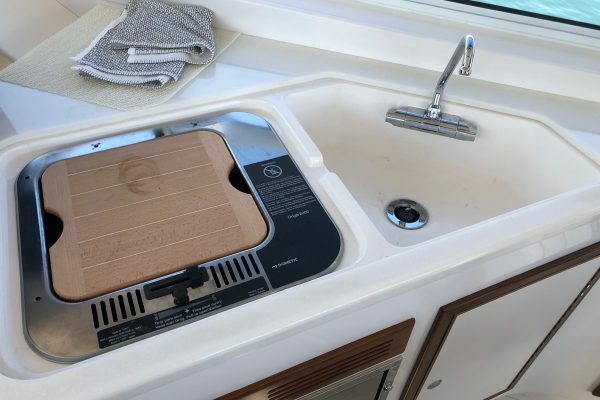 The fit and finish you’ll find on a Draco is usually reserved for the finest of superyachts. 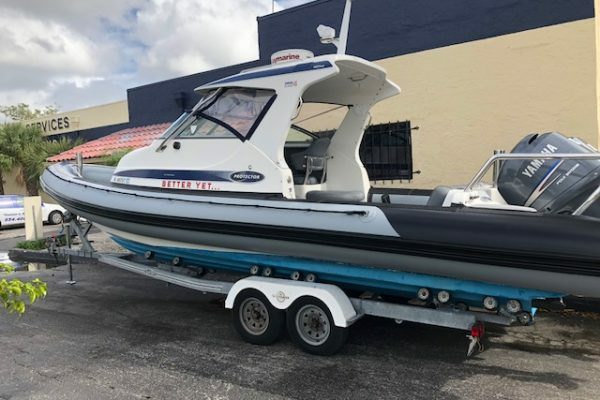 The Draco brand offers an unmatched fit and finish in the under thirty foot, outboard driven, family dayboat, bowrider market. 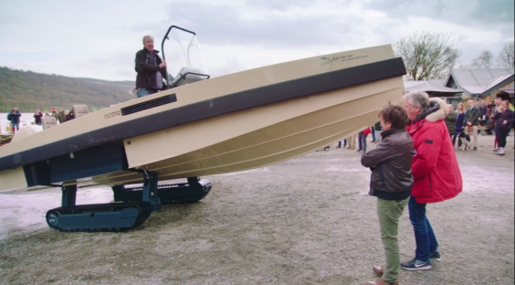 Kåre Drangsholt, the founder of Draco boats in Flekkefjord, Southern Norway, was known for his ambition, drive and passion for boats. 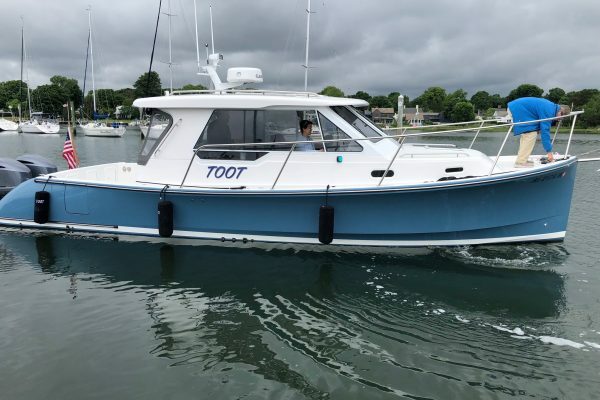 Come and sea trial one with LC8 Marine and see for yourself just how super these little yachts are! Just launched! 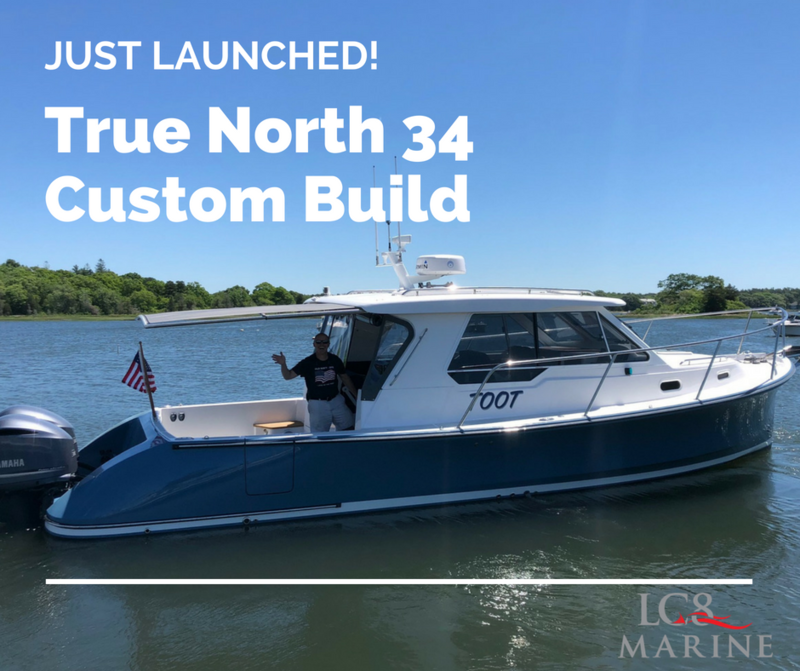 True North 34 ‘TOOT’ splashed in June and her happy owner is enjoying a semi-custom boat from LC8 Marine designed and built to fit her precise needs and requirements. 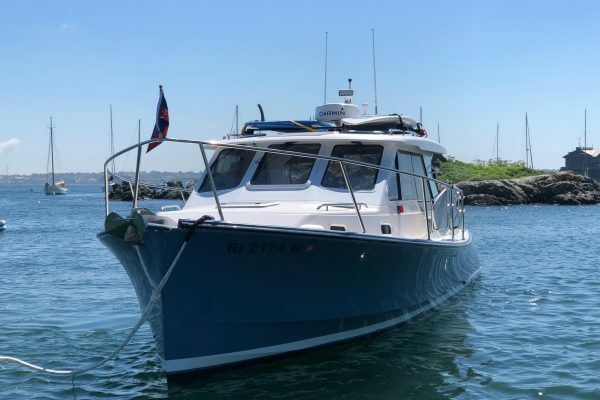 This go-anywhere, do anything classic New England powerboat fell into a dubious future when the original builder ceased operations, and we are thrilled to have jumped right in for a seamless transition. More pictures and details coming soon! 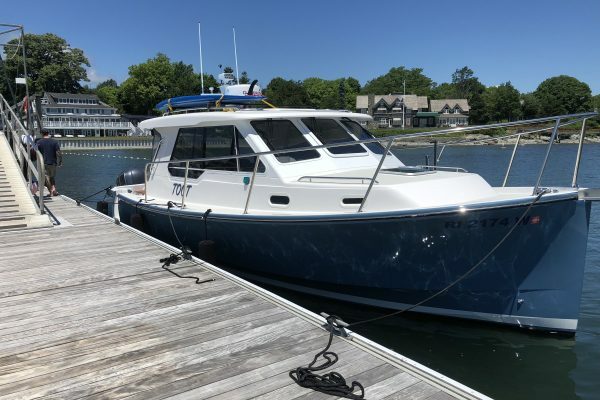 When the owner took possession of their True North 34 from the original builder (US Watercraft in Warren, RI), and handed it to LC8 for completion, we essentially had an empty shell. With no time to spare we jumped straight into action. 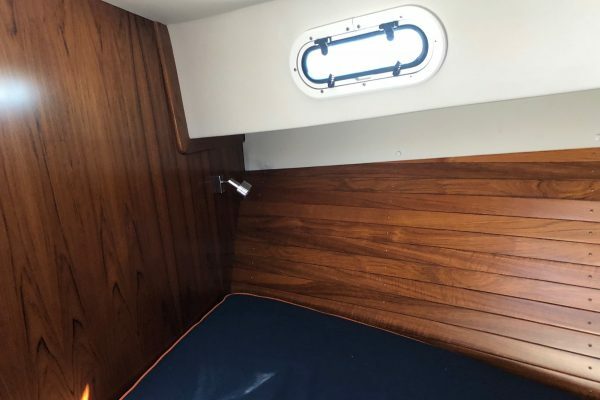 With careful project planning and attention to detail we are pleased to see this beautiful boat completed and in the water where she belongs! 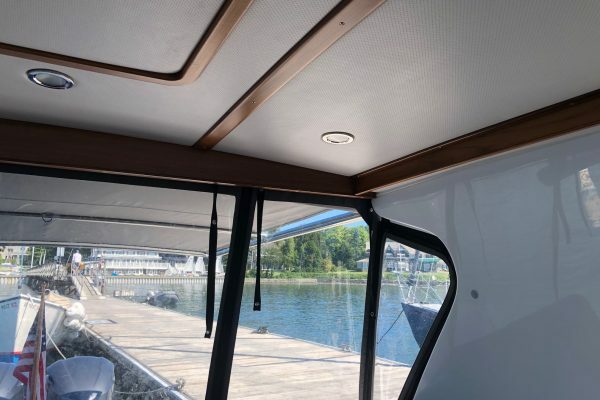 We got straight to work, and jumped in with our painting specialist who completed the job with a glorious paint job that is sure to turn heads in many harbors. 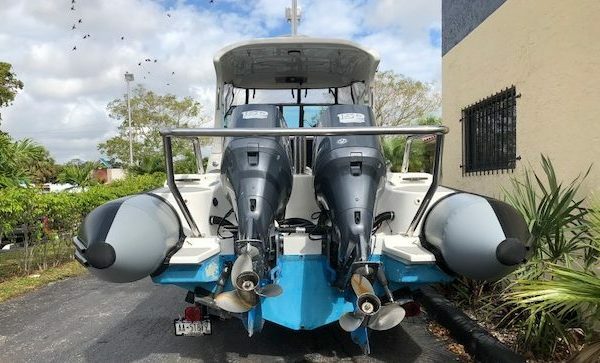 Next we began spec’ing the engine(s) with the owner and installing twin outboards, engine electronics, throttle controls, bow thruster and steering systems. 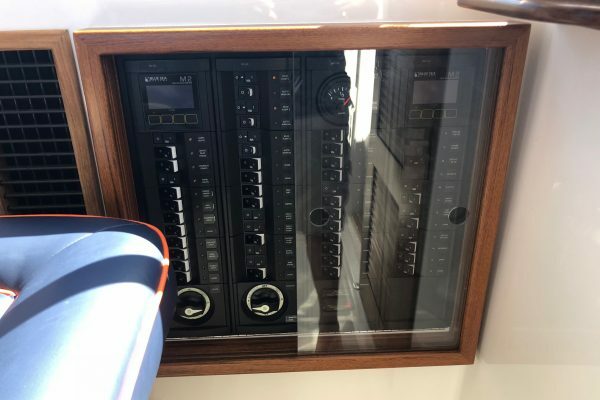 LC8’s expertise in networking and integration powered this True North 34, giving the owner a top of the line solution. 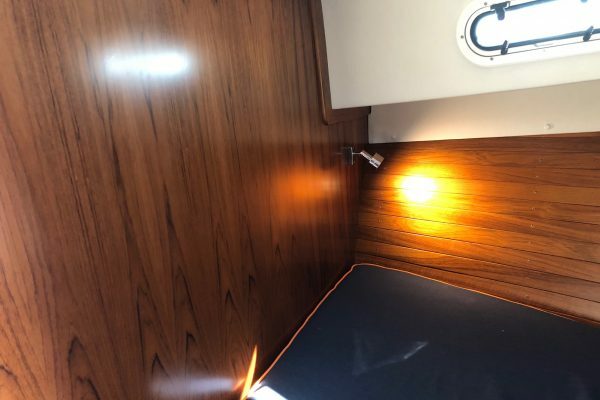 LC8 completed the interior v-berth and salon areas to the owners specification. 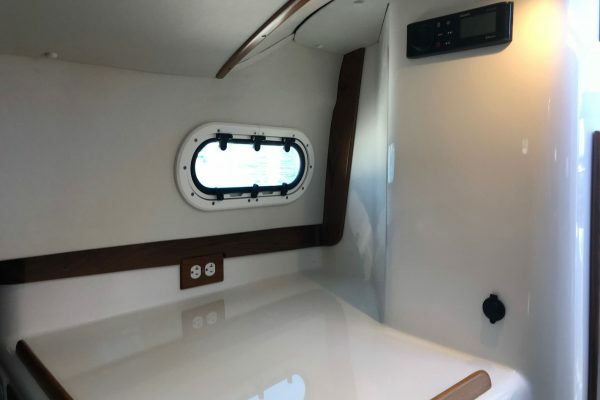 LC8 installed all lighting, and systems for the galley and head. Need Service work on your True North? 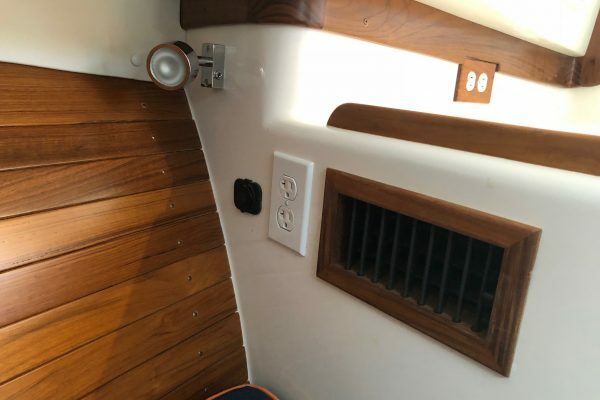 Contact Scott today if you need help with your True North Yacht. Why work for LC8 Marine? 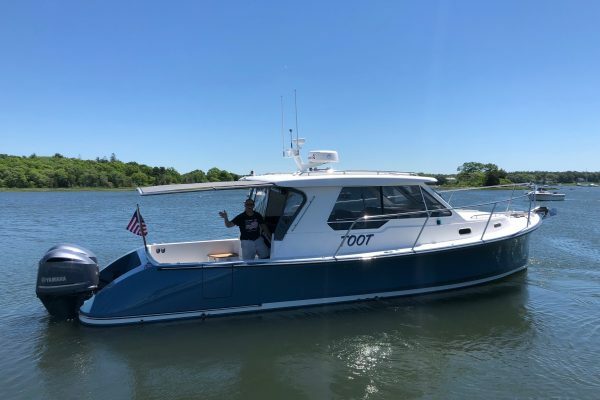 Based in Middleboro, MA, LC8 Marine is a premiere full-service boat management and repair company, that also specializes in RIB and Amphibious technologies, boat refit and fleet management. 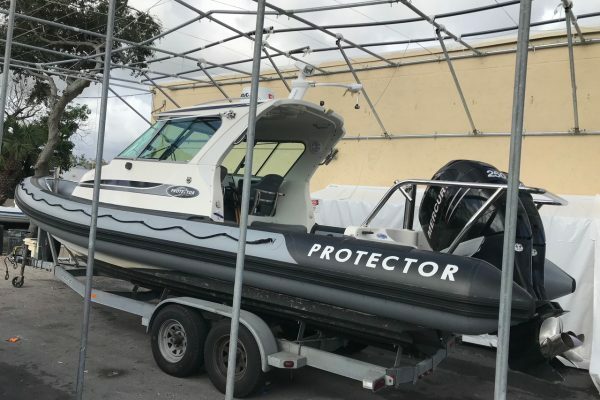 Selected as the Official Service Center for Protector Boats on the East Coast, we have a large number of Protector boats under our care as well as other respected brands such as Hinckley Yachts, Morris Yachts and Sealegs. Learn more. 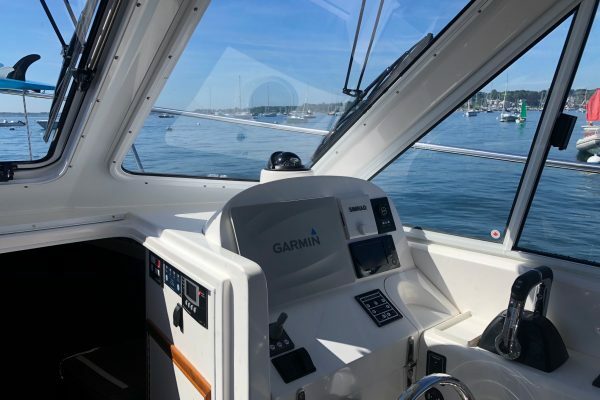 We are looking for a full time marine electronics/electrical technician who has experience providing electronics and electrical maintenance and repair for boats, both power and sail. Individual MUST have high attention to detail and a passion for accuracy in order to fit into our ‘get it done right the first time’ culture. LC8 Marine offers a full training program for the right candidate. A great opportunity to learn and grow with one of the best service centers in New England. Experience working/desire to work in a commercial boat repair/storage environment and be able to provide references. LC8 Marine offers a full training program for the right candidate too. A great opportunity to learn with one of the best service centers in New England. Marine electronics. Both in house (shop), and mobile services. If you are interested in this opportunity, we want to meet you. Please send contact information and resume for immediate consideration. Launching Spring 2018. What a beauty! 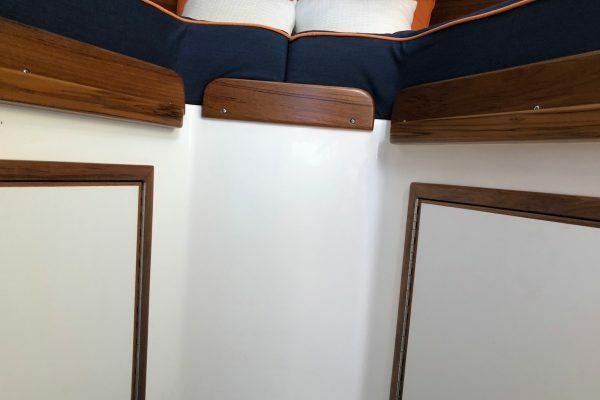 We are proud to be in the final stages of the build of a True North 34 Outboard Express. 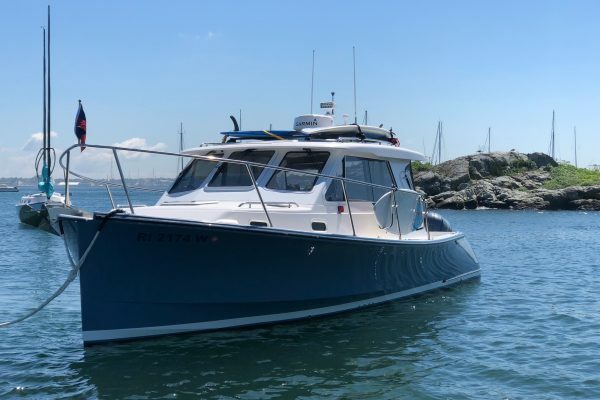 This go-anywhere, do anything classic New England powerboat fell into a dubious future when the original builder ceased operations. LC8 jumped right in for a seamless transition. The result? 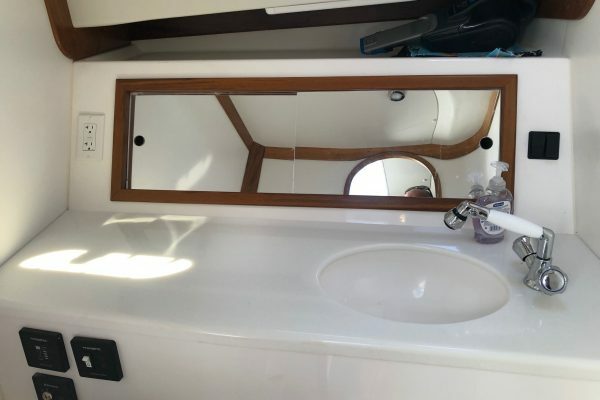 A happy owner who is now benefiting from a semi-custom boat to fit their precise needs and requirements. 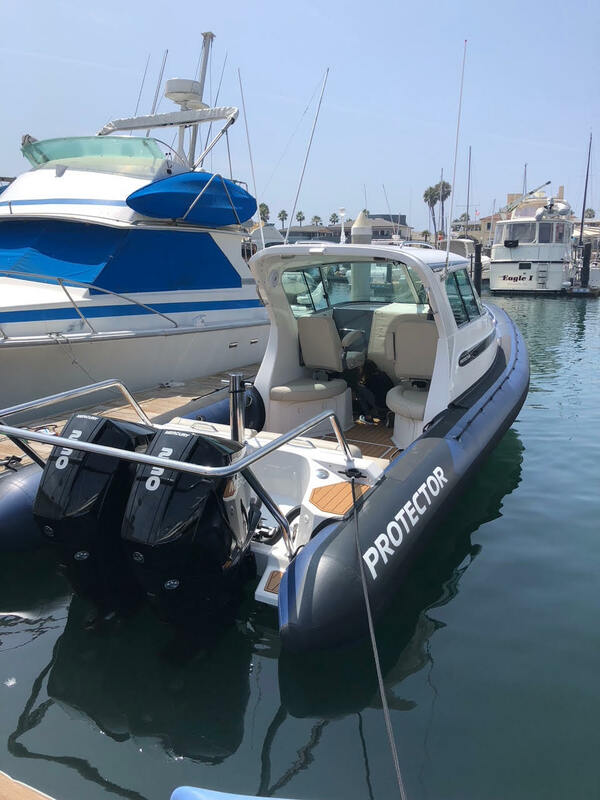 Protector Boats prioritizes customer satisfaction and quality, and is committed to understanding and responding to the unique needs of its customers. 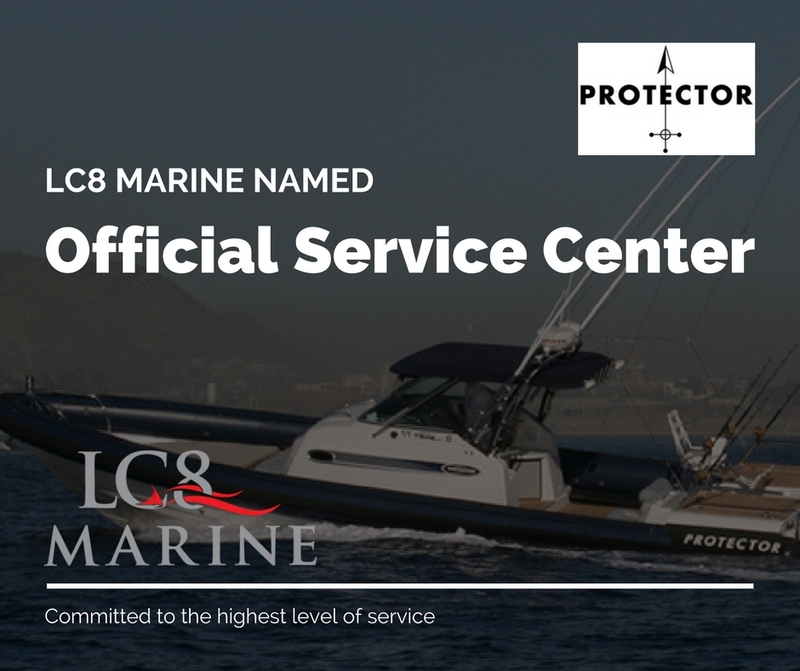 Therefore, it is an honor to have been selected as an Official Service Center for Protector Boats on the East Coast USA. 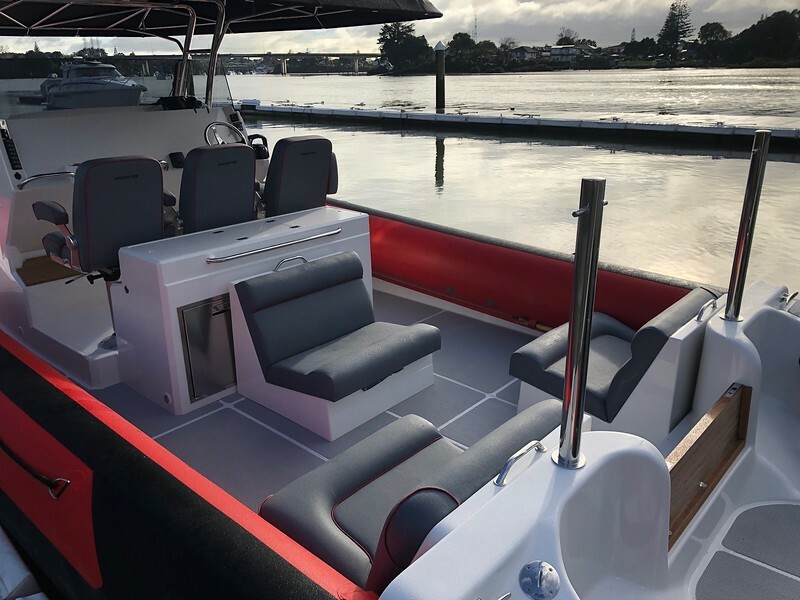 We pride ourselves on delivering a consistently high level of service from our first point contact throughout your boat ownership experience. 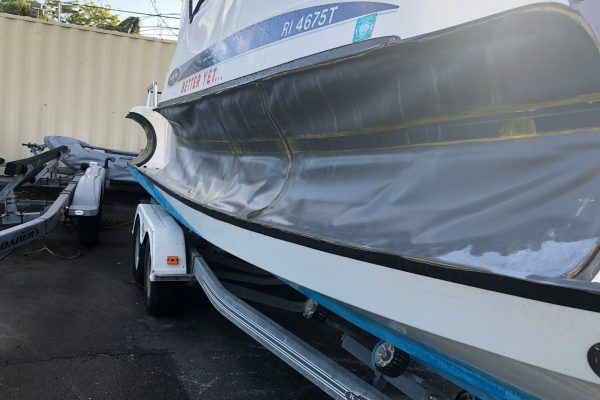 As Protector’s Official Service Center for East Coast USA, we are responsible for outfitting and rigging all of their new boats shipped to the East Coast USA from New Zealand. This includes electronics, engine installations, seating, lighting and beyond. 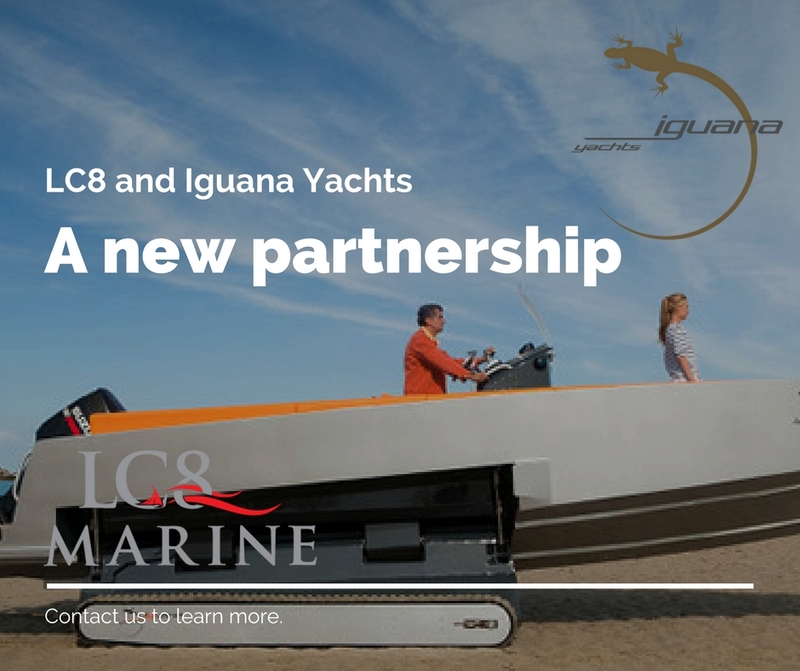 LC8 Marine is excited to announce our new partnership with Iguana Yachts. 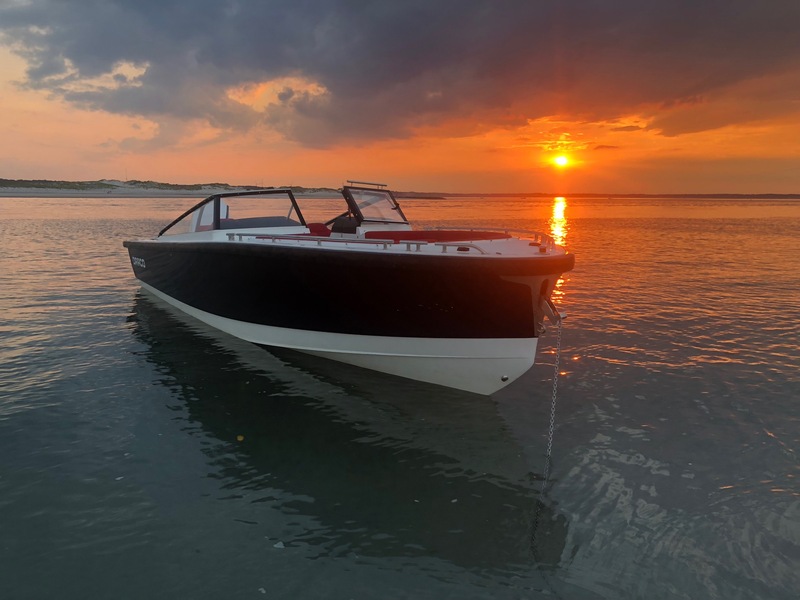 Adding to our existing repertoire of Amphibious boats and technologies, we are thrilled to add the Iguana Yachts brand under our umbrella. 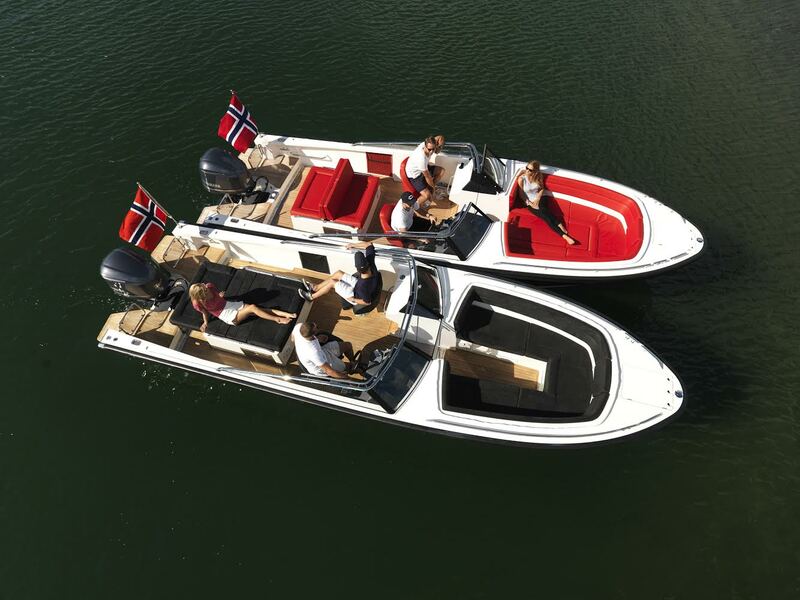 Interested in learning more about these stunning Euro-style boats? Contact us today! LC8 is an authority on RIB tube replacement. 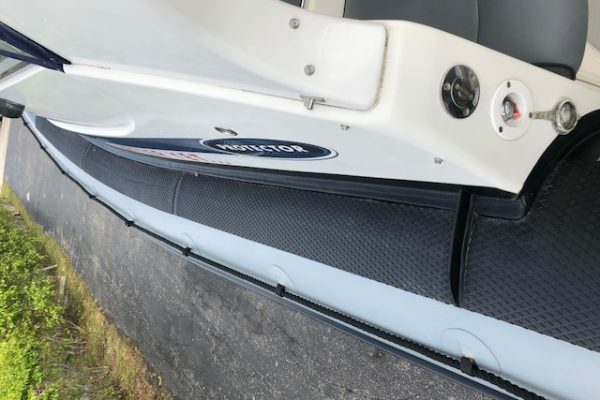 With 16 years of RIB re-tubing experience, we have replaced countless RIB tubes on brands such as Protector, Sealegs, Zodiac and more. Re-tube your RIB with confidence at LC8. How do I know when I need to replace my RIB Tubes? It’s time for a RIB tube replacement, when your tubes are brittle, leaking and faded. Staying ahead of an imminent need is key. The last thing you want is to find yourself in mid-boating season and wasting your precious boating weekends while your RIB gets re-tubed. Our Process. How we do it. Like everything we do at LC8, we don’t cut corners. 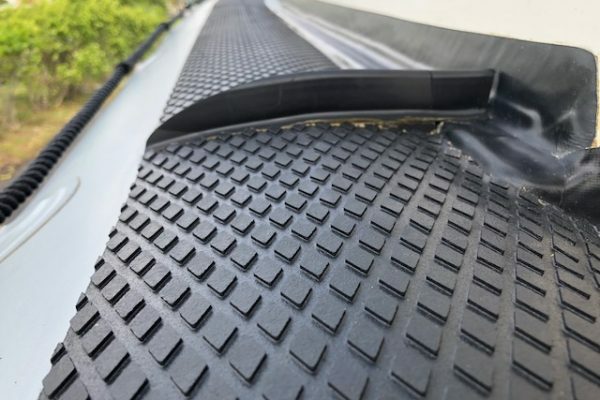 We use military-grade Hypalon, a UV & petroleum resistant fabric that is one of the strongest and highest quality RIB materials available and something not all service centers use. We apply the correct solvents and adhesion methods tested over years of experience. We take a ‘pattern’ from the hull and old tubes, to ensure a precision-engineered fit. Want to customize your tubes? No problem. Many customers want to customize their application and add appendages, rub-rails, hand loops etc. Perhaps even change the color of their RIB tubes. 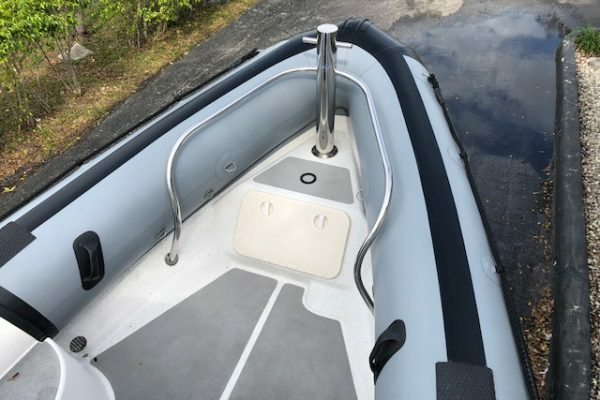 We can customize a new tube set for your inflatable with different colors, accents and features to create a one of a kind tender for you. How long does it take to replace my RIB Tubes? Depending on the project, it takes LC8 Marine between 4-6 weeks to complete a RIB replacement project. See below for pictures on recent re-tube projects we have completed. We have hundreds more projects like this and can talk to you about any questions you have. Call Scott today!